Description: Environmental Science will provide an introduction to environmental science and the study of ecology, populations, water/air/land, mineral and energy resources and our health and future. The lessons taught will be reinforced by hands on classroom labs. Becky graduated from VCU with a Bachelor’s Degree in Criminal Justice. She worked with the Chesterfield County Police as an Evidence Technician. She was among the first civilians hired to complete the crime scene investigations for the department. Becky has lived in the area her entire life. She has two boys who also attend Bridge Academy. 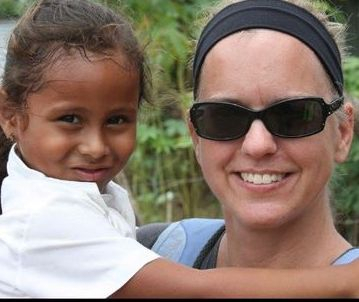 Becky and her family have a heart for missions both locally and internationally. They have been traveling to Nicaragua for the past 6 years, where they have made lifelong friendships.